The Christmas season is not only a time of reflection and tranquillity, it is also a time of culinary delights. Christmas is a time for feasting and rightly so because there are incomparable pleasures that are best shared among the family. Here are some delicious ideas for the Christmas season. The advent calendars by Zotter Chocolates are perfect for the beginning of Advent. They are available with various beautiful motifs and in the special form of a three-dimensional star. The calendars contain seductive chocolate delights. Of course in organic quality and fair trade (there are also vegan calendars). Also for this, Zotter has provided us with chocolaty pleasures. There is chocolate for Brave, for rascal, the classic "Nuss-Kramperl" as well as the Labooko-chocolate "Krampus and Nikolaus". Perfect to give away or enjoy yourself. What would a Christmas dinner be without a delicious turkey or a delicious willow goose eaten with the family? In the Genussregion you can order these fresh and in top quality. We pick up the ordered turkeys and geese fresh directly from the producer and send them the goods in insulated and certified disposable coolers with cold packs, which guarantee the freshness of the products. Incidentally, turkey and goose come directly from Hütter in Straden in Styria. During rearing, great importance is attached to ensuring that the animals have as much free space and fresh air as possible. In fair weather, the animals are kept in the pasture. They are mainly fed with home-grown feed. In keeping with the Christmas season, we also offer Christmas jams in the shop. The flavours include baked apple, punch, Kriecherl-plum-orange (angel flight) and quince-Holler-Weichsel (Knecht Ruprecht). 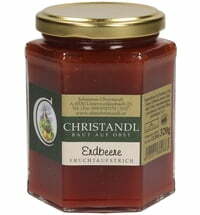 All jams were developed and produced by the farm shop Hirschmann. In the cold season, warm things are always welcome and what is better than a delicious tea? We recommend soothing herbal teas, such as. For example, the organic feel-good tea, a classic organic herbal tea or an organic house tea to relax. Always delicious and happy to be seen at Christmas are dried fruits. 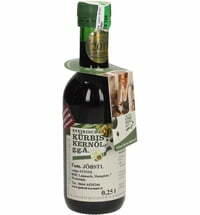 In our shop, you will find dried plums, apple rings and dried strawberries from Schobel Höchstgenuss from Vorarlberg. Carefully dried and free of preservatives or additives. In this sense: we wish you a merry and contemplative Christmas.